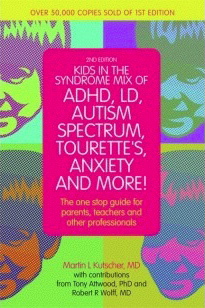 Now fully updated to include the new DSM-5 diagnostic categories, this is a concise guide to the range of often co-existing neuro-behavioral disorders in children – from ADHD, OCD, and anxiety, to autism spectrum disorders, nonverbal learning disabilities, Tourette’s, sensory integration problems and executive dysfunction. 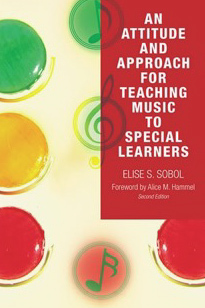 An Attitude and Approach for Teaching Music to Special Learners is a valuable reference guide and text for music teachers who instruct students with special needs. Based on years of practical teaching experience, Sobol begins with the basics of classroom setup and management and moves on to musical literacy, the National Standards for Music Education, special education law, and teaching critical thinking skills. Throughout her book, Sobol consistently promotes the role of the teacher in reinforcing and building each student’s inner confidence. Focusing on teaching students with moderate to severe learning, social, emotional, psychological, physical, intellectual, and language impairments, Sobol provides instructional strategies tailored to various disabilities and disorders. An extensive list of categories of disabilities is also included. The colors of the well-known stoplight-red, green, and yellow-are used to help students understand the foundations of harmony and differences in pitch, learn rhythmic notation, and link to concepts in other disciplines and to help teachers with classroom management. Color illustrations on the accompanying CD provide materials for use in the classroom. Sobol also provides a six-part sample lesson plan based on mediated learning techniques and a curriculum project designed to teach critical thinking skills. This book presents an innovative model for strengthening and developing executive function in any student, including those with attention, memory, organization, planning, inhibition, initiative, and flexibility difficulties. 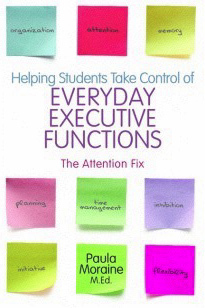 It provides guidance on how to support each student’s evolving executive function.